And now I am sure those who are still on their way to marriage are thinking if this is actually for them. We are talking about partners,and yes,anyone in a relationship has a partner. But the partners in our interest here are those who are married. 5 ways to forgive your partner when it's so difficult to do so. You know,when one is in a relationship at friendship level or stage,it is very easy to choose what to do with one's partner. If he for example has unbearable attitude and you see he is not ready to change,the best thing to do is to quit the relationship for good. But however,the case is not the same when one is already married. There is no going out easily for any course. One just has to bear it all with forgiving attitude. Forgiveness if you ask me is not easy to grant especially when someone you truly love and cherish is the one that has greatly hurt you. Your heart was broken,the trust has been betrayed. But what would you do when it is coming from your life mate? You can't always run away and you can't live in silence with him. No you can't! One of the 5 ways to forgive your partner when it is so difficult to do is to understand that everyone has crazy attitude. Yes,there is a crazy attitude in me,there is a crazy attitude in you and there is a crazy attitude in everyone out there! Didn't you see that crazy attitude in your partner when you guys were dating? Oh maybe,you were blinded by love! But he was showing it,but you were not seeing it. Unfortunately,this crazy attitude of your partner may not be changed for life. It could only be managed. To make it easy to forgive your partner when it's difficult to do so,always remember you have yours too he has to deal with. The second way to forgive your partner when it's so difficult to do so is to remember the fact that you both came from different background. The way one lives his life is dependent on one's background. The training he received and how he thinks is the best way to live. Again you can't change it. The only thing you have to do is to respect it and either choose to follow along or ignore it. Maybe,if he sees that your own way of life is more reasonable he could change his and join you. Did your partner cheat on you with another man or woman? Then realize there is fault somewhere which you have not fixed to have prevented cheating in the first place. The truth is that no partner will purposely or willingly cheat on his or her love mate for no reason. Maybe you nag a lot and hardly give him space to relax whenever he comes home. Men hate nagging wives and men love playful mates like children. Did your wife cheat on you with another man? Somehow you must have contributed to it. Maybe you have not satisfied her emotionally,romantically,or materially. It is very true that no one has right to cheat on his or her partner because of certain reasons,but please,do not give chance to devil to penetrate.If your partner has cheated on you,do remember you have somehow contributed to his or or action and please forgive. The fourth of 5 ways to forgive your partner when it's so difficult to do so is to remember there is no man who does not sin. This is the reason why love the greatest book of wisdom says covers a multitude of sin. Who are you leaving your husband or wife for when everyone has his own fault? Work hard in the life of your partner to see that you both are two in one.When you and your partner are one,you won't be seeing things differently but in the same angle. Then,what he likes you would like,and he wouldn't have any reason to hurt you beyond what you can bear. The fifth of 5 ways to forgive your partner when it's so difficult to do so is to always remember that you are already in marriage. Your marriage vow says it is for better and for worse until death do you apart! Whenever your partner wrongs or hurts you knowing that there is no other place to run away to would make you to forgive him or her and continue living together. Your husband or wife is your partner for life. See him or her as the cloth that covers your skin from shamefulness and you would never have any reason not to wash it clean when it is stained! Marriage is not easy no matter the promises that comes with it. Let no one deceive you with sweet coated tongue that it is heaven on earth! No you have to make your marriage a heaven on earth through hard work and cooperation with your partner. But unfortunately,a lot of marriage mates have messed up this beautiful institution called marriage. 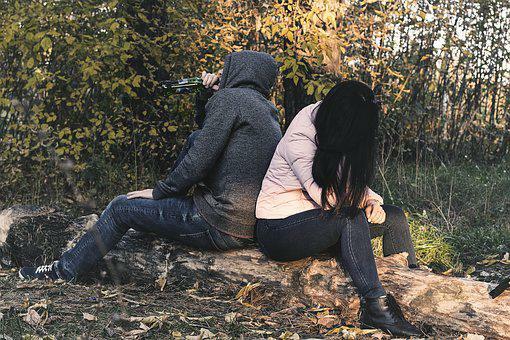 To avoid yours from being messed up,please read this article: Simple Ways to Stop Messing Up Your Relationships. And if you are fortunate,he or she will be willing to cooperate with you because,not everyone can cooperate with his mate. If you are fortunate and have a partner who cooperates,yes,your marriage can be a heaven on earth!! !